"James Aspey has gone from beating leukaemia as a teen to being one of THE activist stars of Australia's vegan community. 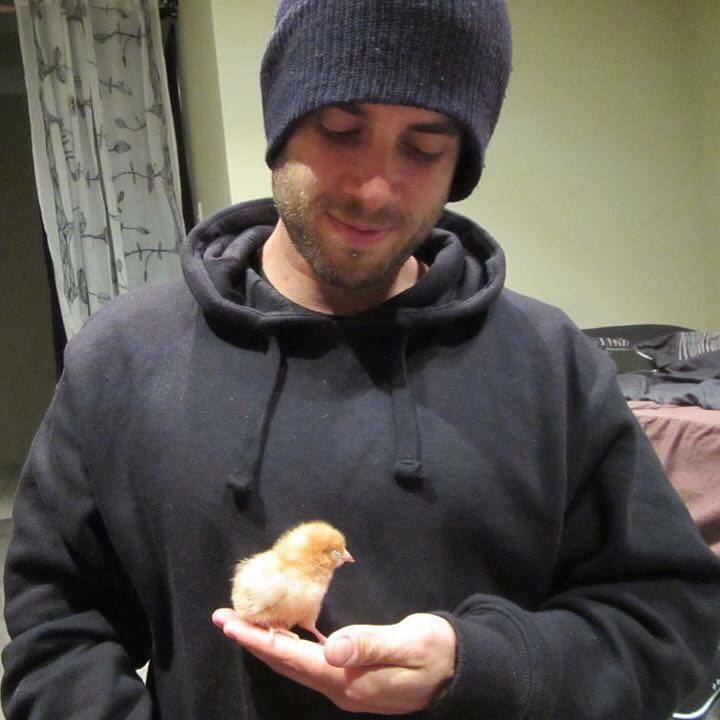 Initially going vegetarian for a seven-day experiment, James then learnt about the health, ethical and environmental issues surrounding animal consumption, and has been vegan ever since. Grabbing global attention in 2015 after breaking a 365 day vow of silence on Australia's most popular morning show to raise awareness for animals, James has continued devoting himself to activism." When you first quit your job as a personal trainer to start spreading the vegan message full-time, you had no idea how you were going to make ends meet. What spurred you on, and where did the idea of t-shirt selling come from? I told my friends Tanya and Amy Camilleri that I was thinking of going back to personal training because I was going broke from giving free talks. I wasn’t prepared to charge people to learn about the vegan message. It should be accessible to everyone and I knew by charging money it would become more exclusive. I didn’t want to ask for donations because I didn’t want anyone at my speeches to have a reason to question my integrity or the reason why I was there. Luckily, Tanya and Amy believe in me so much and are two of the most encouraging and supportive friends anyone could ever ask for. They were already involved in creating ethically made, vegan t-shirts and were more than happy to help me get started, too. Selling t-shirts now allows you to continue to give free speeches and spread awareness of animal rights, but beyond that, it helps the wearer of the shirts, too. Tell us a bit about your philosophy behind this. One of the biggest questions I get asked is, “What can I do to help?” I think so many people go vegan and feel like it isn’t enough. They want to do more to help the animals but they don’t know how. They want to bring up the conversation but they don’t want to seem pushy. Wearing t-shirts with a vegan message is a great way to get people thinking and start conversations. Every time you wear a vegan t-shirt you become a walking billboard for veganism. Obviously, this helps animals but it also helps us feel like we are contributing and helps ease that feeling of helplessness. What advice would you give someone who wants to be an animal rights activist but doesn't know where to start? The best form of activism is education! So the first thing we should all do is become educated vegans. Learn the answers to all the common questions, justifications and excuses. And focus on your strengths! If you like being on video, make videos. If you like cooking, cook delicious vegan food. If you are an athlete, use it to promote the health benefits. If you’re an event manager, plan vegan events. Whoever you are, you can help make a difference!